December 11th. 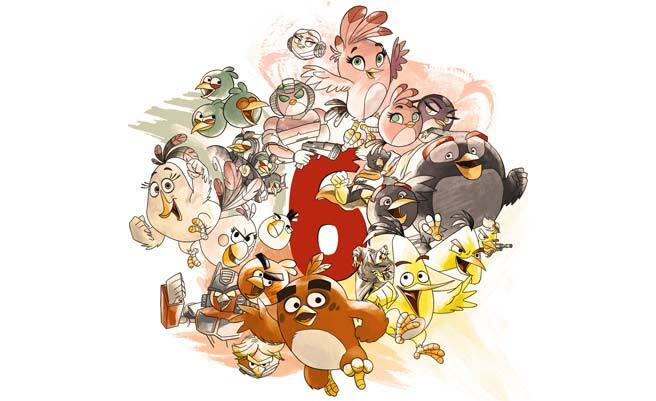 For most of you, today may be just another Friday (which in itself is pretty awesome), but for us – IT’S OUR 6TH BIRDDAY!!!!! Yup, the Angry Birds have been popping pigs for 6 WHOLE YEARS since the original Angry Birds game was launched on December 11th, 2009. In the process, the birds have become a global phenomenon, andthe #5 app of all time if you’re asking Mashable – not bad for a small flock of furious fowl armed only with a slingshot. You know we always like to do it up big for our BirdDay. Last year, we asked our fans to join in the party and send us ideas for levels for the 5th BirdDay episode in Angry Birds. The result was an episode of fan inspired levels that you can still play in Angry Birds! Fast forward to July of this year, and the bigger, badder, and birdier Angry Birds 2 is announced with a cinematic trailer featuring the lovable swimming pigs of the Exuma Cays. 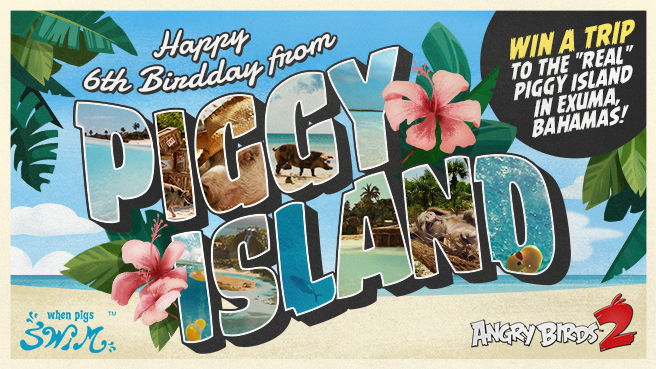 Since then, we’ve been itching to get back to the real Piggy Island for some fun in the sun with those happy-go-lucky pigs. Instead, we’re celebrating our BirdDay by teaming up with When Pigs Swim, Grand Isle Resort & Spa as well as Exuma Water Sportsand giving our fans a chance to live like a pig for an entire week! A swimming pig that is. For a chance to win, just answer one simple question in the comments below the Facebook post here before 15 December at 4:00pm EST. The winner will claim airfare from select North American airports to Great Exuma Island in the Bahamas, and a seven night stay at the Grand Isle Resort & Spa! Need a hint? Take a peek at the video below – courtesy of When Pigs Swim. Good Luck! Winners will be announced via the Angry Birds Facebook page on 15 December at 4:00pm EST. See the official rules here.